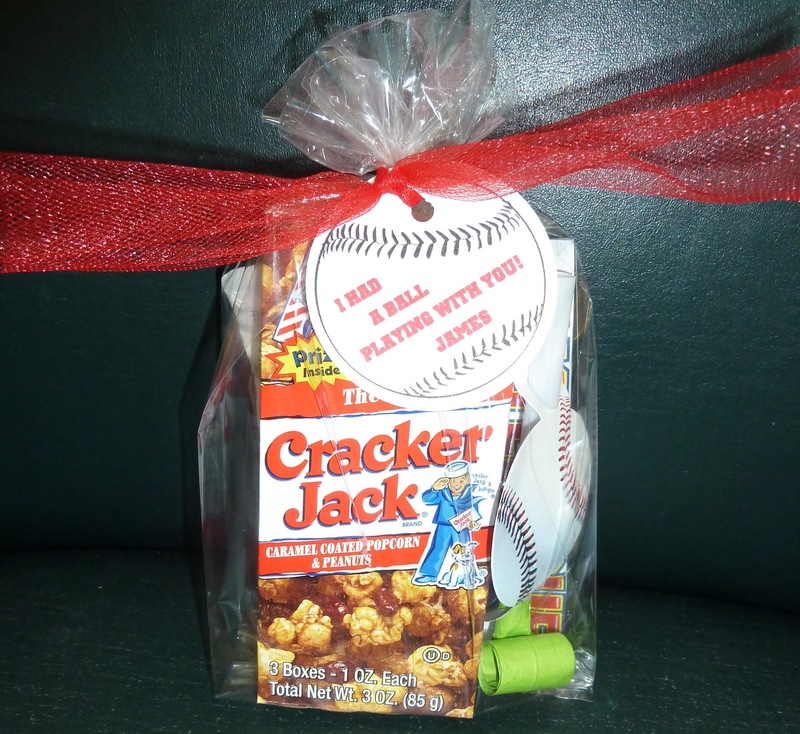 I wanted to do a little something for my boys' baseball teams for their last game. 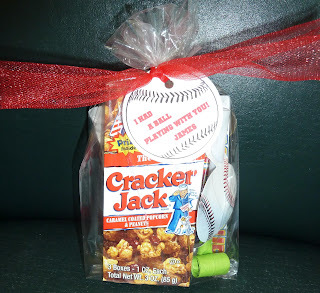 So, I got Cracker Jacks (at Walmart), Big League Chew (at Academy), & baseball party blowers (at Walmart). I put everything in clear plastic bags, tied it up with red tulle, and attached cute "I had a ball playing with you!" tags. You can download the free printable tags HERE and sign your child's name. Too cute!